LAKELAND — The Florida United Methodist Foundation board has named Scott Davidson interim president. He will serve in that capacity while the board searches for a permanent president. “Davidson has more than 22 years of experience and leadership in business and civil engineering, combined with a lifelong commitment to the mission and ministry of The United Methodist Church,” said Rev. Dennis Vlassis, chairman of the foundation’s board. 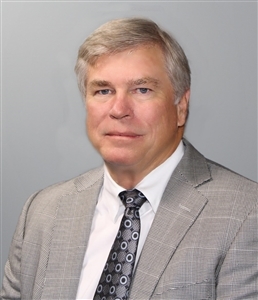 Davidson serves on the Florida Conference Board of Pension and Health Benefits, as treasurer of the East Central District and as a board member of the Florida United Methodist Children’s Home. He is also chairman of ZOE Ministries, which works with more than 22,000 children and youth in Africa and Central America orphaned by HIV/AIDS, and vice chairman of Agua Viva Serves, a nonprofit water-well ministry based in Costa Rica. From 2003 to 2005, Davidson was director of operations and ministries at First UMC, Winter Park, and in 2006 he served as interim president and chief executive officer of the Children’s Home. Most recently, he supervised the final design and construction of Madison Youth Ranch, the new north campus of the Children’s Home. Davidson earned graduate and undergraduate degrees in civil engineering from Georgia Tech and a master’s degree in business administration from Rollins College in Winter Park. He is a former principal and vice president of Ardaman and Associates, a 350-person consulting firm specializing in geotechnical engineering. Davidson also worked as a Peace Corps volunteer, serving as executive engineer in the public works department in Belize. He is married to Ann Eppinger-Davidson. The family attends St. Luke’s UMC, Orlando.